It’s no surprise that our fast-paced, overly self-analytical culture is pushing many people―especially women―to spend countless hours thinking about negative ideas, feelings, and experiences. Renowned psychologist Dr. Susan Nolen-Hoeksema calls this overthinking, and her groundbreaking research shows that an increasing number of women―more than half of those in her extensive study―are doing it too much and too often, leading to sadness, anxiety, and depression. She challenges the assumption―heralded by so many pop-psychology pundits of the last several decades―that constantly expressing and analyzing our emotions is a good thing. 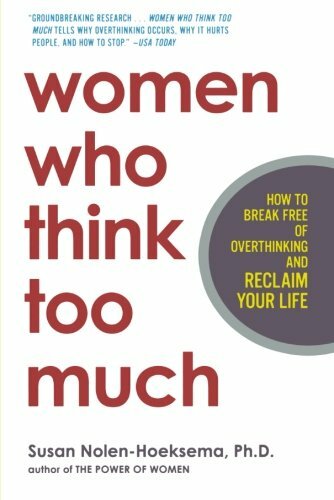 In Women Who Think Too Much, Nolen-Hoeksema shows us what causes so many women to be overthinkers and provides concrete strategies that can be used to escape these negative thoughts, move to higher ground, and live more productively. Women Who Think Too Much will change lives, and is destined to become a self-help classic.